The days when scissors were only good if the person using them was good are over. Clover technology has created KUROHA, which has combined the refined skill of the scissor craftsman with machine precision to gain the loyalty of many users since its release. The handle and blades of Clover's KUROHA are created separately, raising their precision of shape and connection point and thereby eliminating the need for separate machining of blade points. The Clover process has made large-scale production of consistently high-quality scissors possible. Clover has created the perfect scissor feel for any user by improving both blade and handle. Highly precise machining gives the blade faces a smooth and tight fit with each other, making better cuts and cut continuation possible. Using a special resin for the handles, the KUROHA has the optimum combination of resilience and durability against bending. 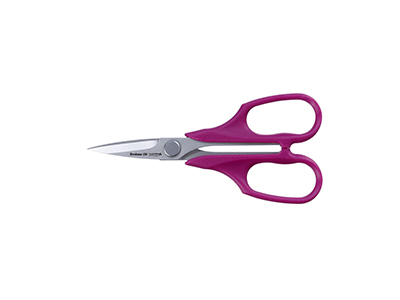 Together, this blade precision and comfortable grip make the scissors a warm, friendly item to enjoy using. Maintaining the easy-to-use traditional shape, KUROHA feature the latest technology and materials. In addition to sharp, accurate cuts, the scissors also have handles made of custom resin to afford the user a lightness and durability. Blade tips meet precisely because of accurate and consistent shaping. Each pair is hand-tested for its cut before going to market. Today, we had uploaded the new project sheet “Pom Pom Monkey”. You can make lovely monkey with our Pom-Pom Maker and our felting tools. We have 3 types of “Needle Felting Tool” and all of them come with very fine needle(s). For small items and details. Art No. 8901 Pen Style Needle Felting Tool - 3 needles. For speeding up the early stage of felting. Art No. 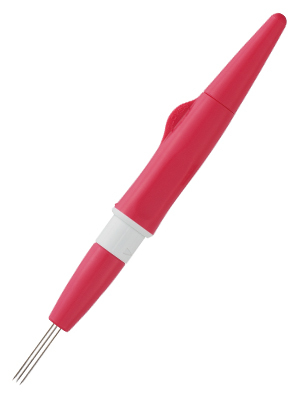 8905 Needle Felting Tool, up to 5 needles. To tackle a large project. For the project sheet of Pom-Pom Monkey, 2 of them, Art No. 8902 Single Needle Felting Tool and Art No. 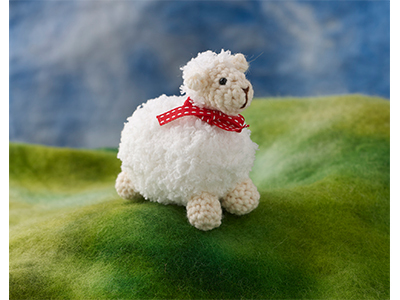 8901 Pen Style Needle Felting Tool are used. 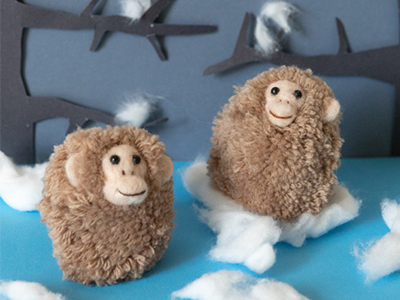 Here is the testimonials from the designer Sachiyo Ishii who made “Pom Pom Monkey” for us. She refers to our tools of Art No. 8902 Single Needle Felting Tool and Art No. 8901 Pen Style Needle Felting Tool and the needle itself inside the each tool. I have searched high and low for quality felting needles through online specialist. Felting needles come in different size and shape; the larger the needle number the finer the needle. The most commonly used are #36 to #40 range, triangular or star point. I like to use fine needle because it does not leave holes after punching with it. Clover Fine Weight Needles do not come with gauge number on the package but apparently, it is #40, triangular. As for the Heavy Weight Needles, they seem to be equivalent to #36 and these two cover most needs. My favourite is Fine Weight. It is an all-rounder which works well from an early stage of felting to finishing up details. Fine needles have fewer barbs but Clover Fine Weight Needles has 6 barbs, 2 on each edge. It is a delight to use this product. It goes in the fleece very smoothly and leaves no marks. I have used needles with same gauge and shape in the past but never felt as comfortable as this one. There is more to the descriptions for felting needles. Triple needles (Pen Style it is called) are another amazing tool. I had to ask myself where I have been all this time! When you are using multiple needles, you feel more resistance, however, this product has the same very fine #40 needles bundled up closely together. This tool speeds up your felting tremendously. I have been felting for years but I have never come across as an exciting tool as this one. I heavily rely on the triple needles now and cannot think of living without them! 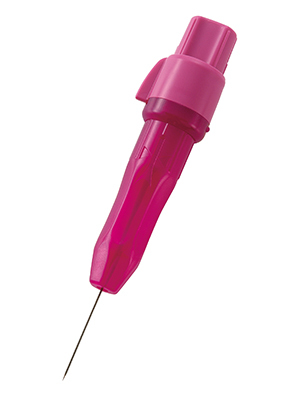 The holder prevents needle(s) from breakage, make you feel safer and easy on your hand. I used to use a single needle without a handle but since the switch to the Pen Style, I noticed that I am more aware of working with a sharp tool. I haven’t pricked myself since the switch. 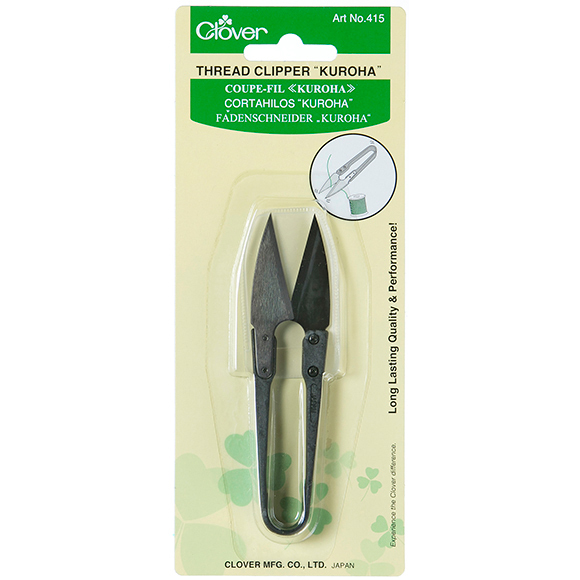 Try Clover’s innovative felting tools. You may discover something new even if you are a veteran felter! 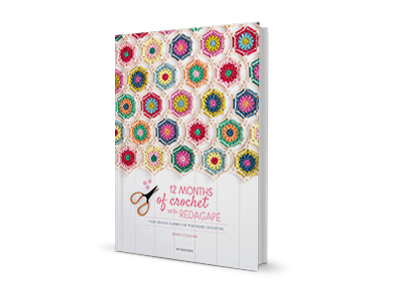 We received the beautiful book "12 Months of Crochet with RedAgape" from Belgium. The book is released this month. The author of this book is MANDY O’SULLIVAN. 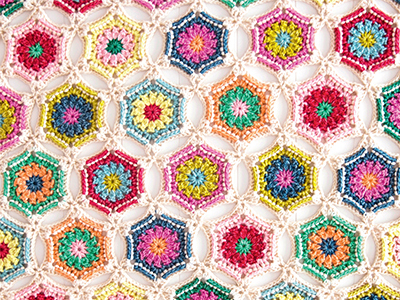 Her works of crochet are so beautiful! The book is very stylish and also very kind to understand how to make. You can find many step by step pictures to follow. We are very happy to know she uses our crochet hooks and tools in her book. 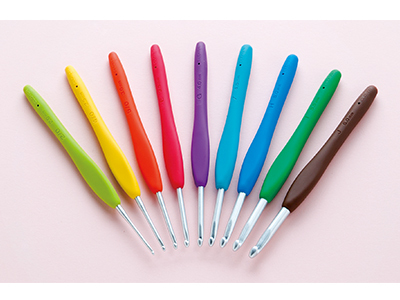 Now, you can try to make something with our crochet hooks! You can find many free project sheets on our web site. Are you familiar with Clover’s scissors? 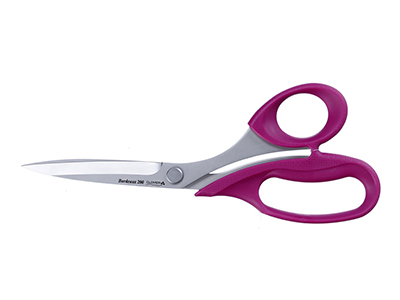 We have an array of quality scissors that will help enhance the fun you already have while sewing and quilting. Clover has a collection of Patchwork Scissors (available in four sizes) and Bordeaux Ultimate Scissors by Nancy Zieman which are the ones we will be breaking down here. Ultimate Bordeaux Scissors by Nancy Zieman were created with an innovative technique that ensures a fine cut and unsurpassed durability. They have an easy grip, require little pressure to give cuts with ultimate precision. 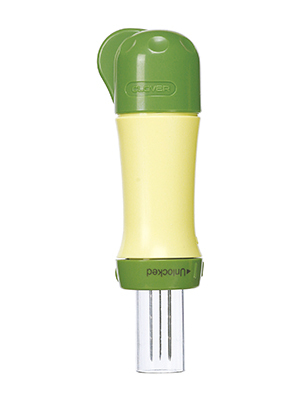 Their soft touch, ergonomic handle minimizes fatigue which is ideal for extended use. They are created for ambidextrous use which makes them perfect for both righties and lefties. Blades are made from a stainless steel blade and a genuine leather protective sheath is provided with each pair of scissors. 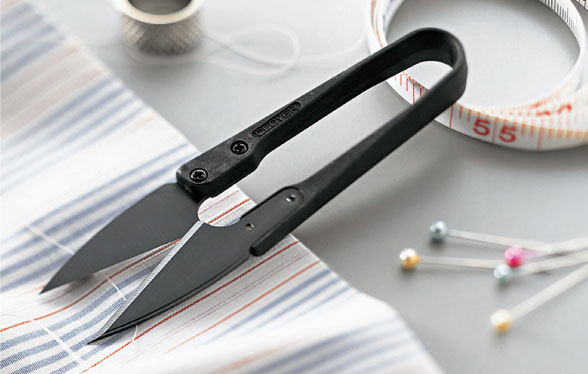 Keep these scissors next to your sewing machine for all quick cutting needs. 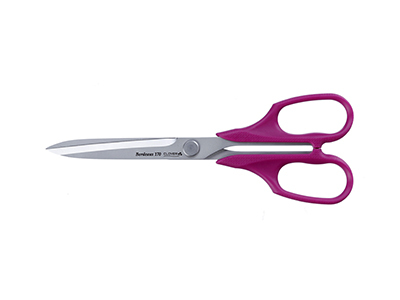 The scissors feel great in your hand, cut fabric with ease, and are available in three sizes. 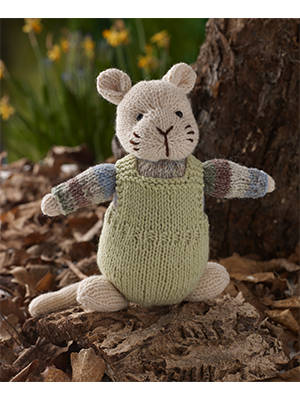 Have you ever tried to make “Amigurumi”? I thought “Amigurumi” is made with crochet hook or circular knitting. This year, I met a designer who makes many lovely “Amigurumi” by flat knitting. Now, we had uploaded project sheets of her work. 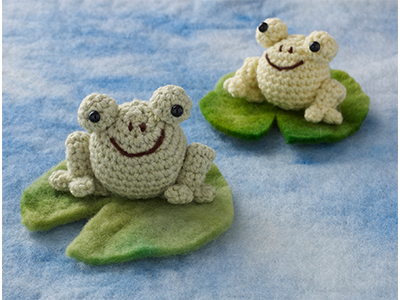 Please find them and try to make “Amigurumi”! You can make the parts by flat knitting then seam the parts. It might be easier for someone than circular knitting? 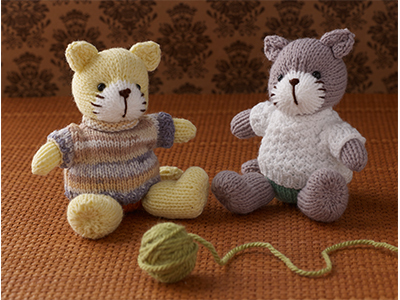 We will upload some further cute “Amigurumi” by knitting after this. Our new project sheet is updated every Tuesday.